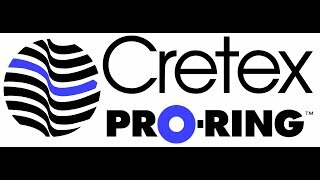 We're pleased and excited to offer Cretex's innovative and simple PRO-RING manhole adjustment system throughout our territory. If you haven't seen a demo installation, you don't know what you're missing. Call us for details today. PRO-RINGS are light, cost effective, and a breeze to work with compared to traditional manhole adjustment and repair methods. With a variety of different grade rings, angle, and finish rings, all highway rated but made of lightweight expanded polypropylene, repaving or repairing have never been easier. Here are a selection of PRO-RING drawings. Give us a call for many other PRO-RING sizes than are listed here. No special tools or effort or budget planning are required to keep unwanted stormwater out of your sanitary system with Cretex Inflow Dishes.